Also Known As: “Imagine you are holding a bucket of water”. This swing thought uses a metaphor to try and trick your brain into imagining you are holding a bucket of water in your hands instead of a golf club as you make your golf swing. If you were indeed holding a bucket and needed to bring it back, you’d first press the handle a little forward which would make the task easier. 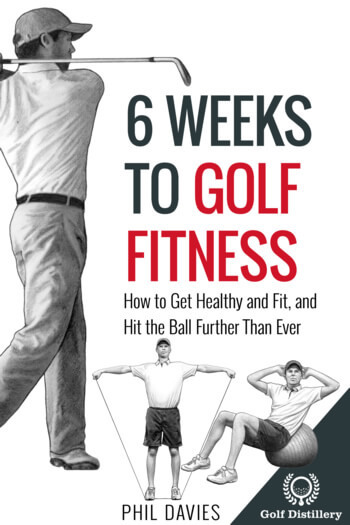 In his bestselling book Harvey Penick’s Little Red Book, the famous caddie and golf instructor uses the metaphor to get golfers to adopt a good swing trigger in the form of a forward hand press. A example from the pro tour can be seen in Phil Mickelson who will always press his hands forward a little as he finishes setting up for a putt and transitions into taking the putter back. 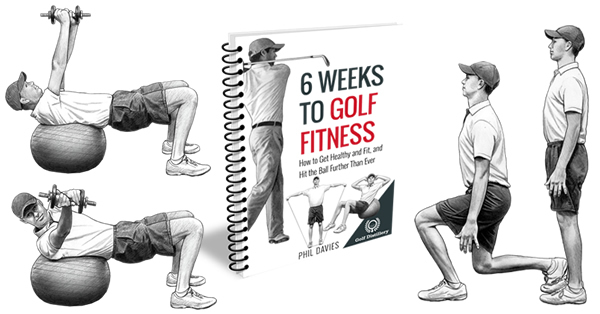 The general idea behind this swing key is that it is generally awkward for an athletic movement such as a golf swing to begin from a perfectly stationary body. Rather it is much easier to perform after the body was allowed to loosen a little. As such, this swing tip provides an easy to implement swing trigger, which tells your body that it is about to perform an athletic movement and to position itself accordingly. Otherwise, imagining that you are swinging a bucket of water will force you to have good tempo in bringing the club back. Indeed, water would spill out of the imaginary bucket if the movements involved were too jerky. A smooth tempo will also promote proper weight transfer into your right (back) foot as you bring the club back and towards the front as you bring the bucket back down. Golfers who have a tendency to delay pulling the trigger will benefit from incorporating this swing trigger. Indeed, some golfers seem to get stuck in a stationary address position and can’t seem to know from where to start the movement flow. Alternatively, those who have a tendency to perform rushed swings and swings with bad overall tempo may benefit from imagining they are moving a water container around. Like the name says, a trigger of any kind will tell your body that it is beginning something. Using one that is constant and muted such as the one proposed here will transition you nicely from your pre-shot routine onto your actual swing. 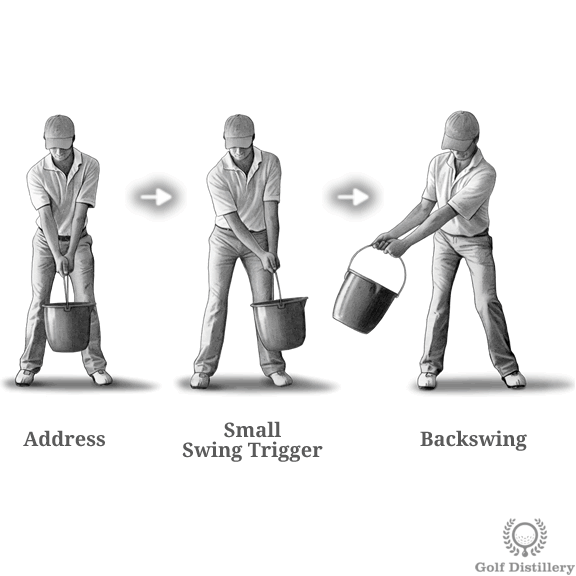 And thinking of moving water inside a bucket will remind you to perform the sequence of actions smoothly which will promote striking the ball well reliably. 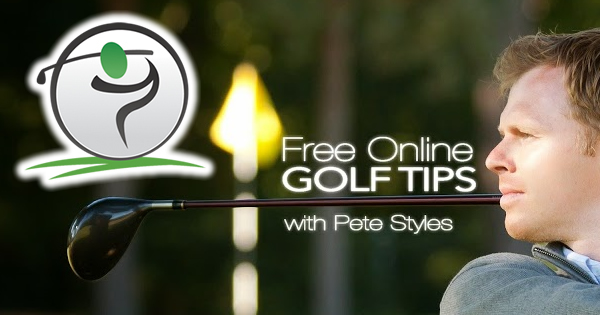 Golfer should find this swing thought to be useful for most of all of the shots involved in the golf game.